Every artist going from Copenhagen to New York brought along white cubes through the customs and security controls. 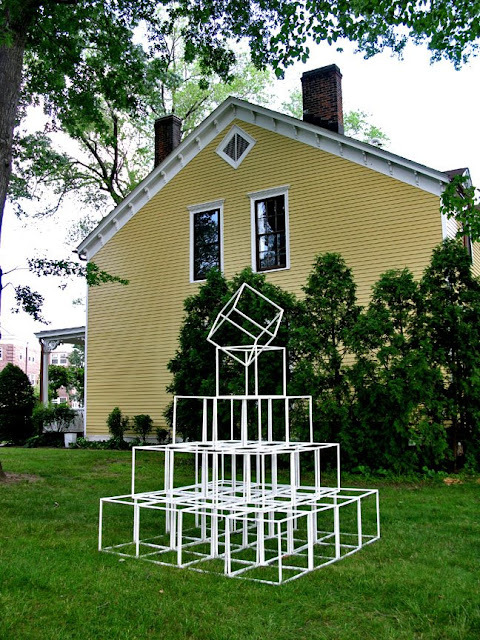 It was part of the group effort and collaboration to build a Pyramid on Governors Island. This in a similar way they built the Pyramids and Stonehenge. It was made possible by the artists good intent and Peter Lassen's good will. The building in the back is Building 14 where the Emergence Exhibition was housed. 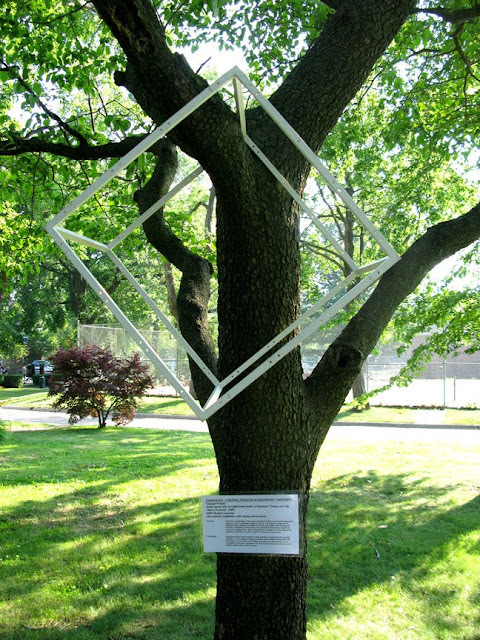 The Emergence Project got an artist grant from Black Rock Arts Foundation, was in collaboration with Figment and was part of the Figment events on Governors Island in 2008. Click on images to enlarge and read text. Installation and performance in collaboration with The Triangle Project Part 3 at Building 14 and The Emergence Project at Governors Island. The Triangle Project is currently in New York for it's third installment. On the 17th there was a wonderful performance by Atoi, Teppop and Dansk Fløde at LIT Lounge, along with a premier screening of one of the chapters from Jacob Fuglsang Mikkelsen's film "PTSD 911" at FUSE Gallery. On June 19th there is an opening at ABC No Rio at 7pm, and there will also be a performance by Dansk Fløde & co. The exhibition is based on a chapter from The Triangle Project Book called "Grounded - Was Man Meant to Fly?" 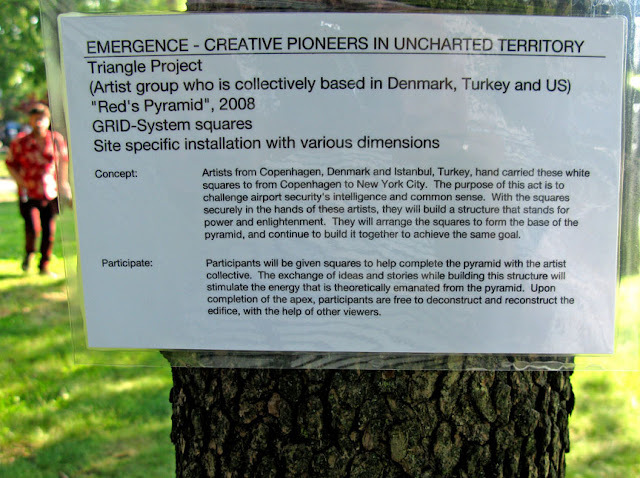 From the 20th to the 22nd of June, the project will be part of the EMERGENCE project on Governors Island. 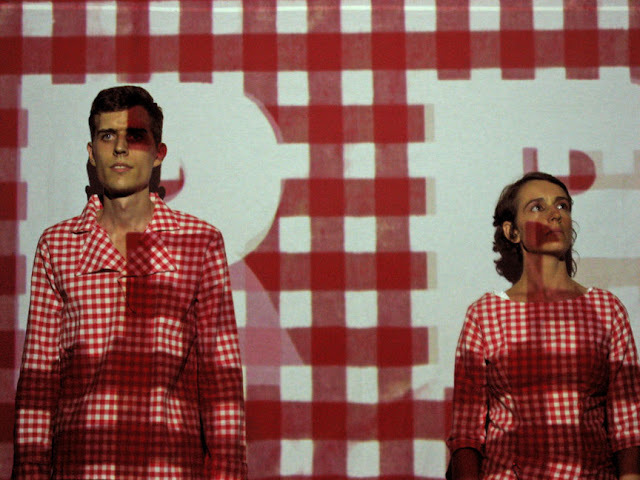 On the 24th at 8pm, Neke Carson will present the project at The Gershwin Hotel. KARGO will perform, Claus Ankersen will present spoken word, Martin K Jørgensen will show his latest short film and Doctor Jesper Eugen-Olsen of Dansk Fløde will hold a lecture on suPAR that is his brilliant invention saving lives.